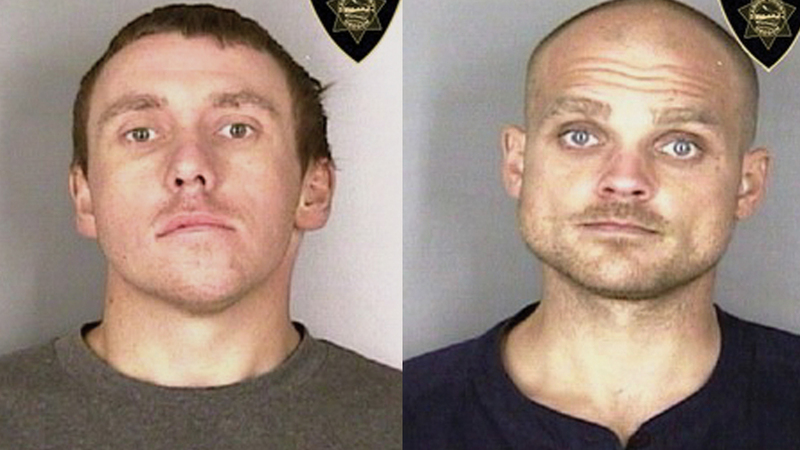 Two Keizer men have been arrested in connection with a string of business burglaries in the city last month. Since July 3, five Keizer businesses have been burglarized after hours and Keizer police suspect that the spree extended into Salem. On July 3, Mobil Gas Station, 6160 River Road N., and Sonic Drive-In, 3775 River Road N., both reported burglaries. On July 6, Burger King, at 2655 Jorie Lane in Keizer Station, reported another burglary. On July 24, the opening manager at Dairy Queen, 761 Lockhaven Drive N.E., reported a burglary. A window had been shattered to gain entry. Finally, on July 30, Los Dos Hermanos, at 3590 River Road N., was burglarized. A GoFundMe campaign in support of the Keizer family’s restaurant has been launched at bit.ly/2nksLtr. More than $2,500 had been raised in seven days with a $12,000 goal. “Each business burglary occurred after the business had closed for the day. The suspects forced entry, usually breaking glass to make entry into the businesses,” said Deputy Chief Jeff Kuhns, of the Keizer Police Department. On Wednesday, Aug. 1, a search warrant was executed at 1691 Eugene Court N.E. in Keizer that resulted in the arrests of Richard Wayne Berlin, 30, and Silas Andrew Scott, 27. Berlin was transported to Marion County Correctional Facility where he was charged with three counts of burglary, three counts of conspiracy to commit burglary, possession of burglars’ tools, and tampering with physical evidence. He is alleged to have been involved in the buglaries at Sonic, Dairy Queen and Los Dos Hermanos. He has since been released from jail. Scott was charged with burglary, conspiracy to commit burglary and possession of burglars’ tools. He is believed to have been involved in the Burger King burglary. Scott is still in custody at the jail. “We have reason to believe there may be more suspects involved and we know the criminal activity they engaged in extends beyond the city of Keizer. We are working closely with other law enforcement agencies,” Kuhns said. Additional charges for the two men arrested and additional arrests may be forthcoming.